Is your digestive system acting funny every other day? If you do not eat a lot of junk, this might be a problem. Undigested food and accumulated excreta may indicate gastritis, ulcers, dyspepsia, IBD, and even gastric cancer. Mastic gum is an age-old one-shot remedy for digestive issues. Mastic gum is a resin or viscous secretion from the mastic shrubs. The Greek believed this resin had healing properties. Mediterranean cuisine has incorporated mastic gum as a therapeutic agent to soothe teeth, stomach, and intestine disorders. To know why and how it is effective, you have to scroll down. Let’s get started! What Are The Active Components Of Mastic Gum? Mastic gum is a natural resin produced from the trunk and branches of the mastic bush (Pistacia lentiscus var. Chia). This gum is produced in the form of tears when you cut the bark. Mastic gum drips through these incisions as a clear, gummy liquid that solidifies over time. These translucent-opaque granules of mastic gum are cleaned, segregated, and processed further (1). Traditional medicine has used mastic gum as a remedy for several gastrointestinal disorders. The Greeks believed it could treat gastralgia, peptic ulcers, and dyspepsia. The anti-ulcer activity of this resin is experimentally proven too (2). Mastic gum also possesses proven antimicrobial and antibacterial properties. Above all, it has a potent antioxidant effect and inhibits the production and activation of pro-inflammatory compounds (3). Want to know how this resin can help maintain your health? Read on! Mastic gum possesses antibacterial properties. It is, hence, effective in reducing Helicobacter pylori infection. This progressive pathogenic infection can lead to chronic gastritis and gastric ulcers if left untreated (2). Mastic gum extracts showed about a 30-fold drop in H.pylori colonization. But there’s not enough evidence backing this (2). However, some hypothesize that this property is because of the mono- and sesquiterpenoids (essential oils) and triterpenoids (e.g., masticadienonic acid) the gum contains (1). Also, this resin has no/minimal side effects on long-term consumption. So, habitual intake of mastic gum might control the colonization of H. pylori in your stomach (1), (2). Dyspepsia is the uncomfortable feeling or pain in the upper-middle part of your stomach. It is usually accompanied by bloating, heartburn, nausea, vomiting, and burning stomach ache. In various studies, hydrogen receptor antagonists and proton-pump inhibitors did not improve dyspepsia. Herbal remedies like iberogast and artichoke leaf extract showed promising results. Mastic gum is a well-known herbal alternative that can treat this condition (3). Almost 25% of its total weight is a polymer. In an acid environment, this becomes a runny resin, which could have gastric cell-protectant effects in patients. The gum has triterpenoid acids that could have antimicrobial and antioxidant effects on these cells (3). Dyspepsia patients treated with mastic gum showed double the improvement in the placebo group (3). Identifying the active substances of the resin involved in fighting dyspepsia can give more clarity about its dosage and specificity. Mastic gum can also regulate hypertension. Due to its anti-inflammatory effect, this resin can ameliorate vascular stiffness and hypertrophy (4). In other words, mastic gum can relax the arteries and myocardial vessels. Also, rat studies propose that mastic gum can lower pressure on the heart (4). Due to its antimicrobial properties, mastic gum can fight oral bacteria. Chewing on mastic gum/resin can decrease plaque, gum inflammation, and dental caries (5). Both these areas continue to be subjects of active research, though. This gum is used in Greek, Turkish, and Arabic kitchens in the powder form as a food additive, in the form of sugar-containing gel as a sweetener, and as mastic oil as a sweet additive in drinks. Inflammation of the parts of intestines can cause inflammatory bowel disease. 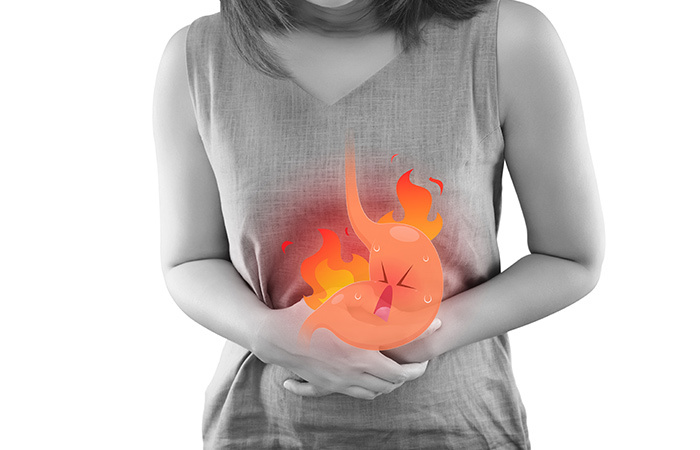 This inflammation can be a result of a pathogenic attack, fat accumulation, gastritis, etc. Crohn’s disease and ulcerative colitis are common forms of IBD. Due to its established anti-inflammatory effect, chios mastic gum could make an excellent remedy in this case. It also possesses antibacterial and antioxidant activities that can help address the cause of IBD (6), (7). In several studies, mastic gum treatment reduced the severity of Crohn’s disease. It lowered the levels of pro-inflammatory compounds in the serum, such as IL-6, CRP, and TNF-α (6), (7). Mastic gum also inhibited other factors responsible for the migration of white blood cells to inflamed sites (7). Seems like mastic gum is the go-to for all GI and excretory tract issues! 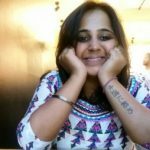 Any idea what is/are behind such potent cytoprotective properties? Here is the answer! 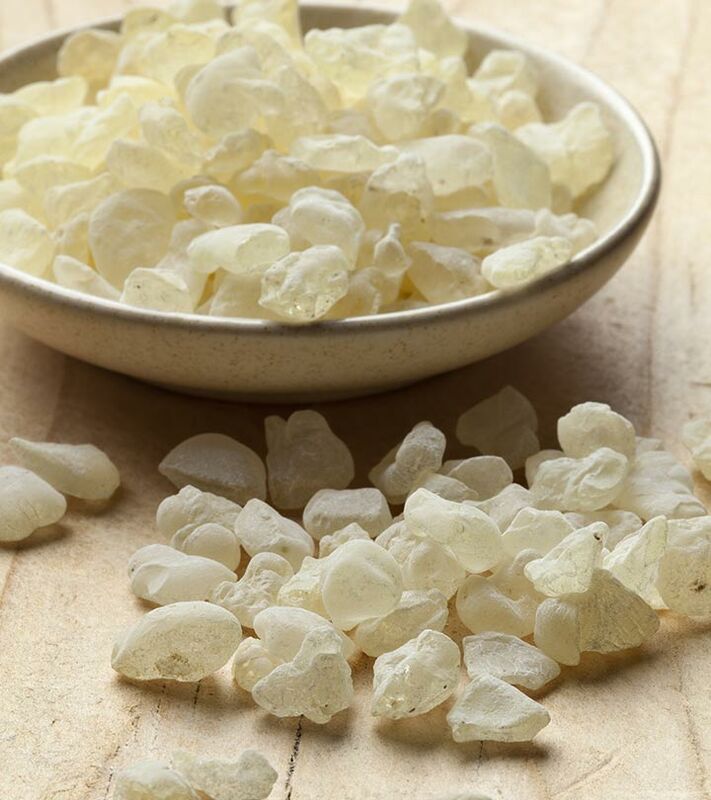 Mastic gum has anti-inflammatory and antioxidant activities because of a power-packed biochemical profile. It has triterpenes of oleanane, euphane, lupine-type. Alpha-tocopherol, polyphenols, verbenone, alpha-terpineol, and linalool were also identified in the resin. Triterpenes have been associated with the hypotensive effect of mastic gum. Linalool and similar compounds were responsible for its antibacterial activity (8). Are you wondering how much mastic gum to take? Scroll down. Chewing or ingesting mastic gum can clear your teeth, tummy, and bowel. About 0.06 mg/ml of this resin could effectively kill H.pylori. Concentrations as low as 125 μg/ml and 500 μg/ml inhibited 50% and 90% of H. pylori strains (9). However, further information is required to help decide the right dosage of mastic gum. Until then, you may contact your physician or nutritionist to know more about this resin. You can get a small pack of mastic gum capsules here. Mastic gum is a harmless resin obtained from the wounded trunks of the mastic bush (Pistacia lentiscus). It has been known for its use as an anti-inflammatory, antioxidant, anti-ulcerative, and digestive aid in ancient medicine. Modern research supports these attributes of mastic gum. Till date, there are no or few adverse effects documented against this extract. However, in-depth studies and research would help the practitioners frame customizable dosage and effective modes of administration. If you have any queries, suggestions, and comments about this read, please share them in the section below. “The effect of mastic gum on Helicobacter pylori…” Phytomedicine, Elsevier, Academia. “In Vitro and In Vivo Activities of Chios Mastic Gum…” Antimicrobial Agents and Chemotherapy, American Society for Microbiology, US National Library of Medicine. “Is Chios mastic gum effective in the treatment…” Journal of Ethnopharmacology, Academia. 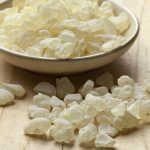 “Chios mastic gum decreases renin levels and…” Biomedicine & Pharmacotherapy, US National Library of Medicine. “Comparison of the Effect of Xylitol Gum- and Mastic…” Journal of Dentistry, Tehran University of Medical Sciences. “Chios mastic treatment of patients with active Crohn’s…” World Journal of Gastroenterology, US National Library of Medicine. “Herbal and plant therapy in patients with inflammatory…” Annals of Gastroenterology, US National Library of Medicine. “Anti-inflammatory activity of Chios mastic gum is…” Nutrition Journal, US National Library of Medicine. “Current knowledge on alleviating Helicobacter pylori…” Integrative Medicine Research, US National Library of Medicine.